All Patterson homes currently listed for sale in Patterson as of 04/18/2019 are shown below. You can change the search criteria at any time by pressing the 'Change Search' button below. If you have any questions or you would like more information about any Patterson homes for sale or other Patterson real estate, please contact us and one of our knowledgeable Patterson REALTORS® would be pleased to assist you. "PROPERTY FEATURES: 6 BEDS / 3 BATHS (1 BED / 1 BATH DOWNSTAIRS). LIVING SPACE OVER 4,000 SQF., LOT SIZE 6,200SQF. NEARBY SCHOOL - (NORTH-MEAD ELEMENTARY, CREEKSIDE MIDDLE SCHOOL AND DEL PUERTO HIGH SCHOOL), SHOPPING PLAZA AND FREEWAY. THIS IS MUST SEE"
"Beautiful 4 Bedroom, 3 Bath, Walker Ranch home that boasts over 3100 Sq Ft of living space. 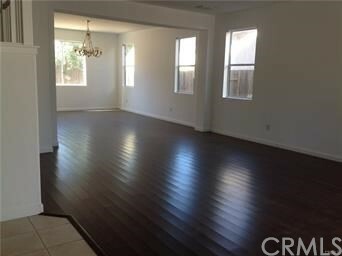 Includes a Bonus room downstairs that could be used as a 5th bedroom and a loft. Kitchen features large center island, granite counter tops, breakfast bar, and dining area. Additional features include gas fireplace in living room, upstairs laundry, laminate floor coverings, tile, and carpet. Don't miss the opportunity to make this lovely home yours!" "Large home on large lot. new roof in the last 2 years. Close to shopping and restaurants." "Golfer's Dream Home. Escape the Busy City Life to this Amazing Retreat in a Gated Golf Course Community Nestled in a Beautiful Hidden Valley. Enjoy Nature & Resort-Like Living with Gorgeous Views, Peace, and Serenity. This Elegant Home is a Rare Find with Spacious Master Suite with Large Balcony for Sweeping Views of the Gorgeous Hills, Gourmet Kitchen with Granite Counters, Stainless Steel Appliances, Separate Island, and Pantry Cabinet. Grand Entrance with Cathedral Ceiling in Formal Living Room. Family Room with Gas Fireplace. Upstairs Loft with Built-In Desk. Beautiful Curb Appeal. Manicured Backyard with Paver Patio for Relaxation. Golf in the Prestigious, Award-winning 18-hole Golf Course Designed by Architect Denis Griffiths. Relax at Elegant Oak Flat Grill and Bar. Grab a Starbucks Coffee at the Ranch Market & Cafe. Play in the Club Pool in Summer. Enjoy Hiking Trails with Beautiful Vineyards and Canyon Scenery along the way."